Cooking dinner these days has been a little different than in the past. Long gone are the days of trying to spend hours in the kitchen prepping dinner. 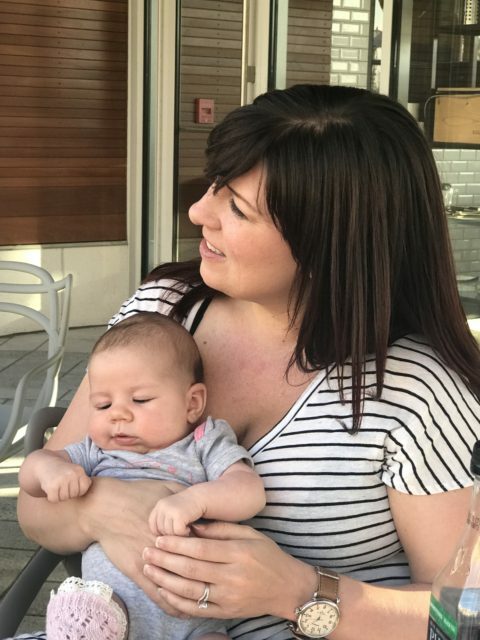 Baby girl makes that a little difficult when she is still in unpredictable with her feedings. By the time we get her down for bed at nine I don’t want to eat dinner at eleven. Especially when I know that I will only get five or six hours of sleep. 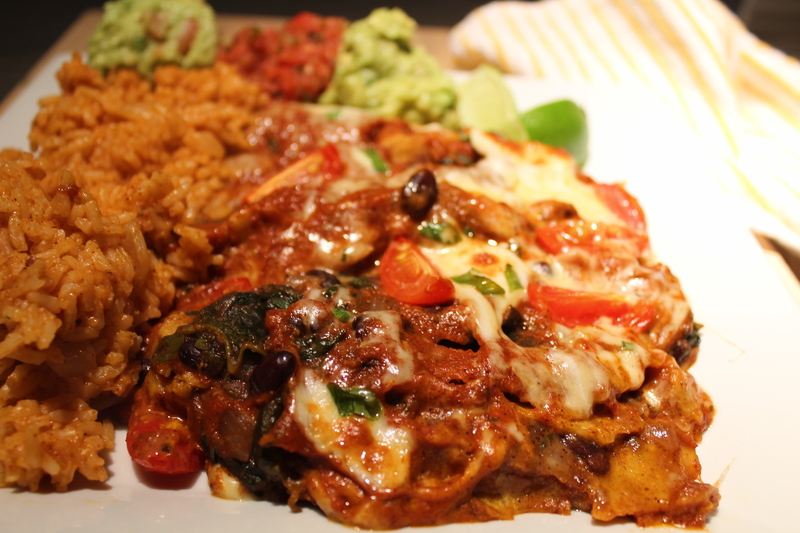 So lately I have been looking for quick meals. 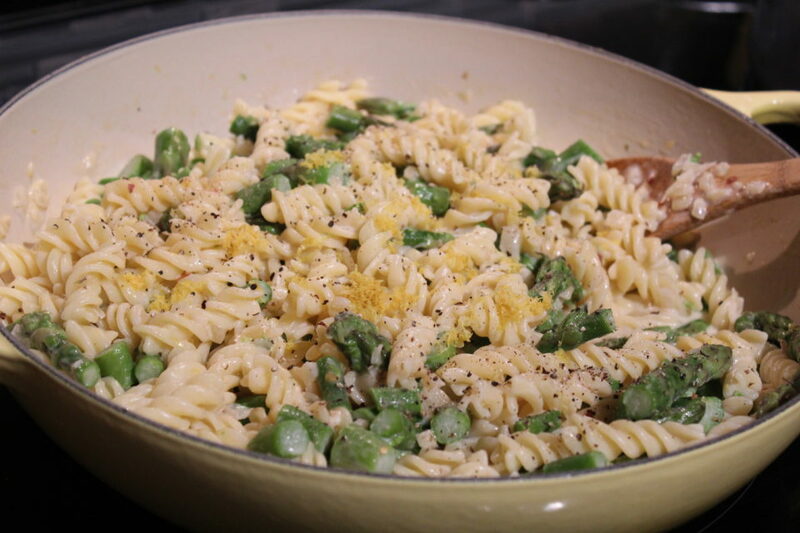 Since it’s spring I decided to use what is in season and make some lemony asparagus pasta. I love springtime. We are often faced with long winters and cold temperatures living in Michigan. This year I feel like our worst of winter was in April. But the grocery stores would tell you otherwise. 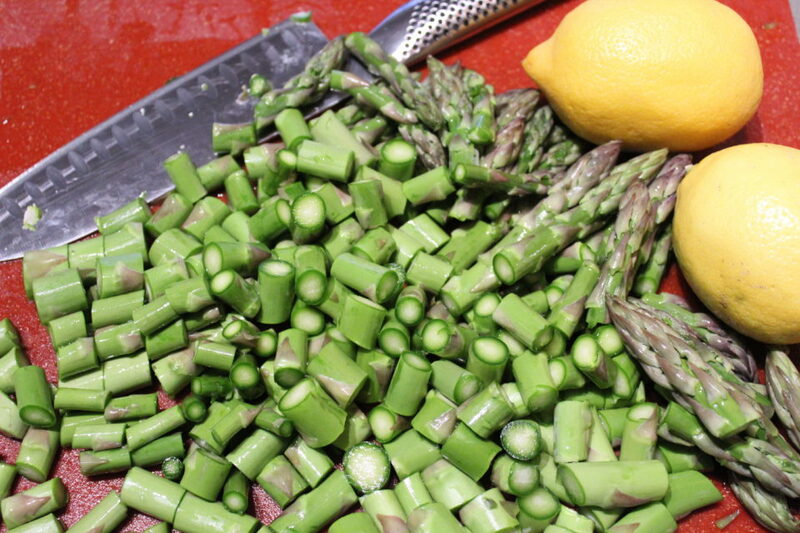 One of my favorite spring vegetables is asparagus. I was craving some carbs for dinner so I decided to make some kind of pasta using in season vegetables. Lemon pairs nicely with asparagus. I think the zesty citrus gives the asparagus a nice bite. What else pairs well with asparagus? Bacon. I could probably tell you how bacon pairs nicely with EVERYTHING though. Bacon has received a bad wrap recently. There was a study put out saying that bacon is a carcinogen. However, that is because most processed meats are cured with nitrates. Nitrates are bad for you, not the bacon! So when cooking be sure to read your labels and look for nitrate free meats. 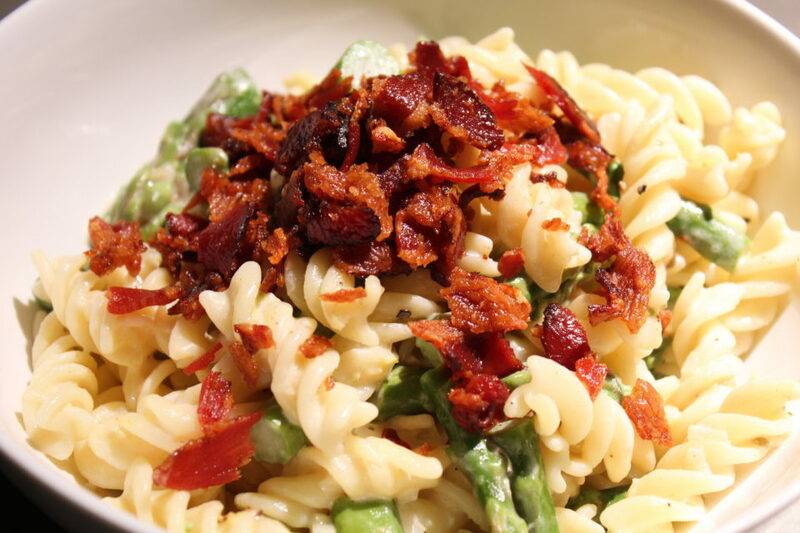 Besides the bacon, everything else is prepared while the pasta cooks. 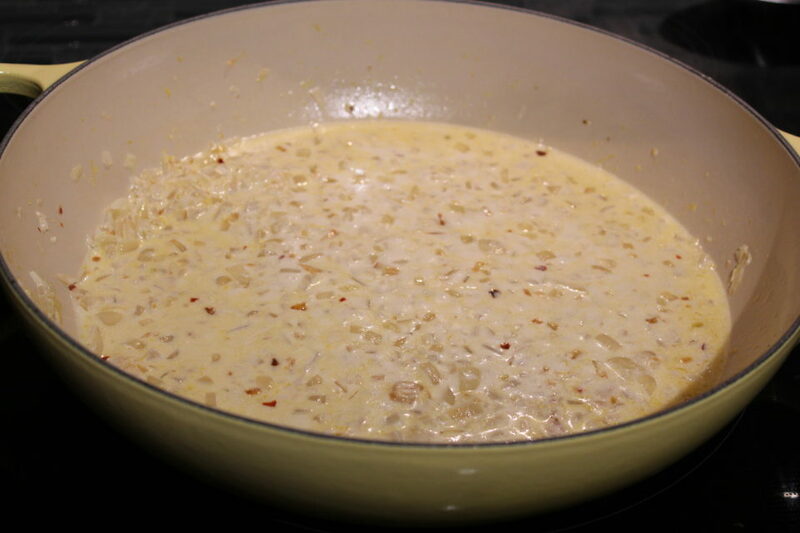 The simple sauce is made by cooking onions and garlic in bacon fat. Then broth is added and cooked down. Instead of using heavy cream in the sauce I use marscapone cheese. Marscapone cheese is like Italian cream cheese. It is versatile and can be used in sweet or savory dishes. To make the pasta have that great lemony taste, the zest of three lemons is used. Another time saver is the asparagus. Since the asparagus needs to cook what better way than to throw it in with the pasta. 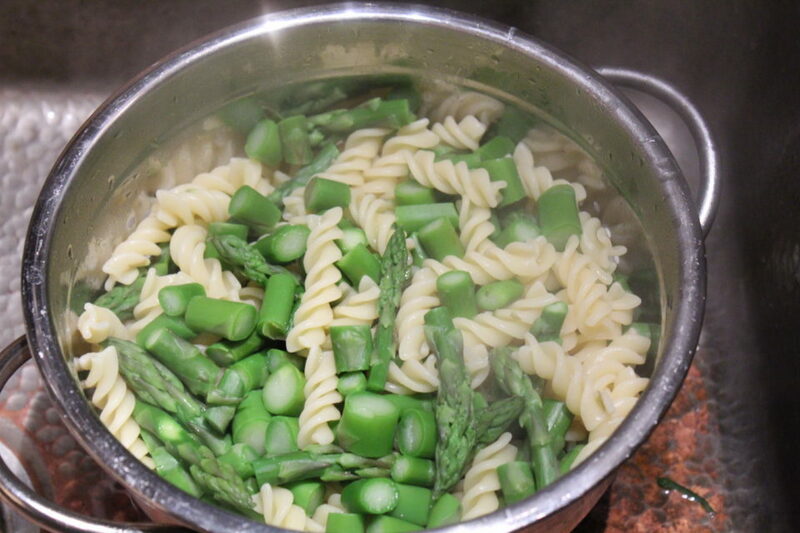 When the pasta has a few minutes left to cook I added the pieces of asparagus. 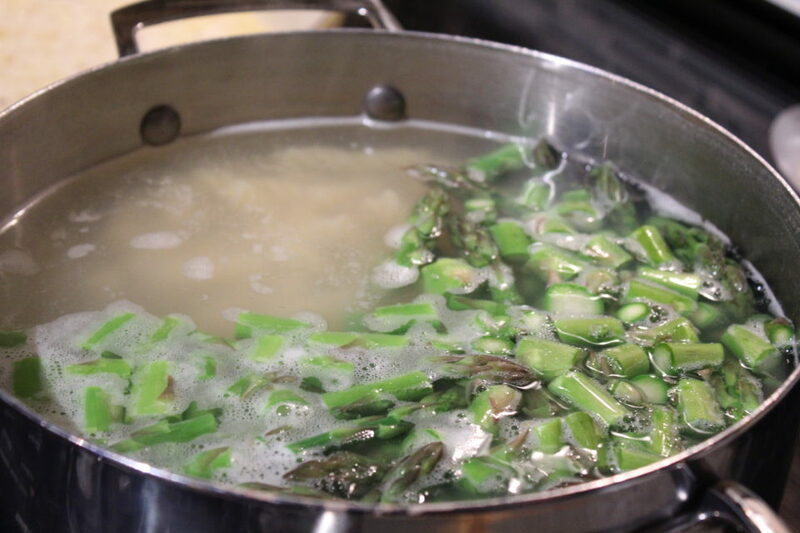 By cooking the asparagus in the pasta water it adds flavor to the water which helps enhance the flavor of the sauce when used later. 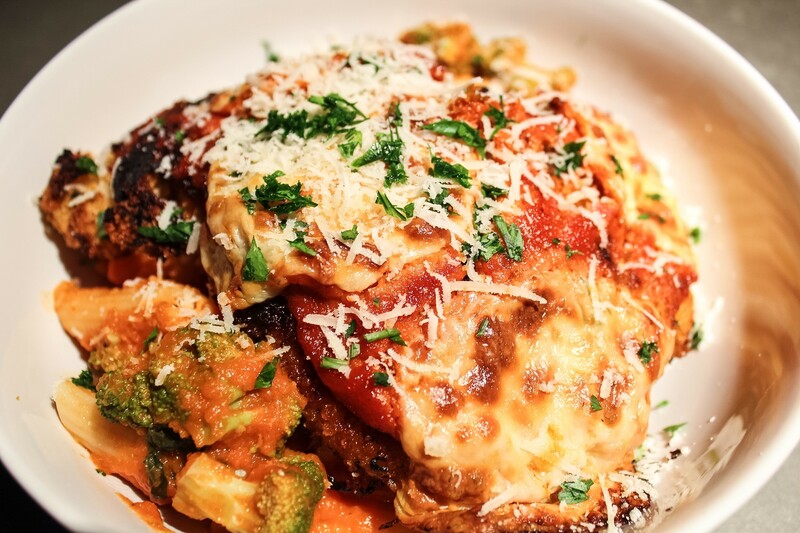 If you are looking for a quick meal for when you put the kids to bed or if you just don’t want to spend time in the kitchen this recipe is for you. It’s quick and easy and even better in the spring when asparagus is fresh. Cook bacon using your favorite method (I prefer baking in the oven, it prevents the house from becoming smoky), reserve bacon fat and set bacon to the side. In a large pot, bring pasta water to a boil. While water is coming to a boil in a large sauté pan (large enough to add the pasta to later), use a few tablespoons of reserved bacon fat (if vegetarian use olive oil). On medium to medium low heat sauté onions, garlic and red pepper flakes if using until soft (8-10 minutes). Add in broth and bring heat up to medium. Allow the broth to reduce down slightly. Then stir in marscapone cheese. Season with salt and pepper to taste. When pasta water comes to a boil season it liberally with salt. Add in pasta. When the pasta has 3 minutes left to cook, add in asparagus spears. Reserve one cup of the pasta water. Drain pasta and asparagus. Add pasta, lemon zest and parmesan to sauce and mix to coat evenly. Add in half of the reserved pasta water. If sauce is still too thick add in the remaining pasta water. Crumble reserved bacon to top the pasta with. Serve immediately. For a vegetarian version omit the bacon and bacon fat and use olive oil instead.